Haciendas Bio is located in the town of Villanueva de la Serena, in south-western Spain, near the Portuguese border. The vineyards are planted in slate soil at altitudes of 1,400 feet and dry farmed using certified organic methods and biodynamic principles. Biodiversity is encouraged, with grassed rows and plantings of olive trees, aromatic plants and bushes around the vineyard. 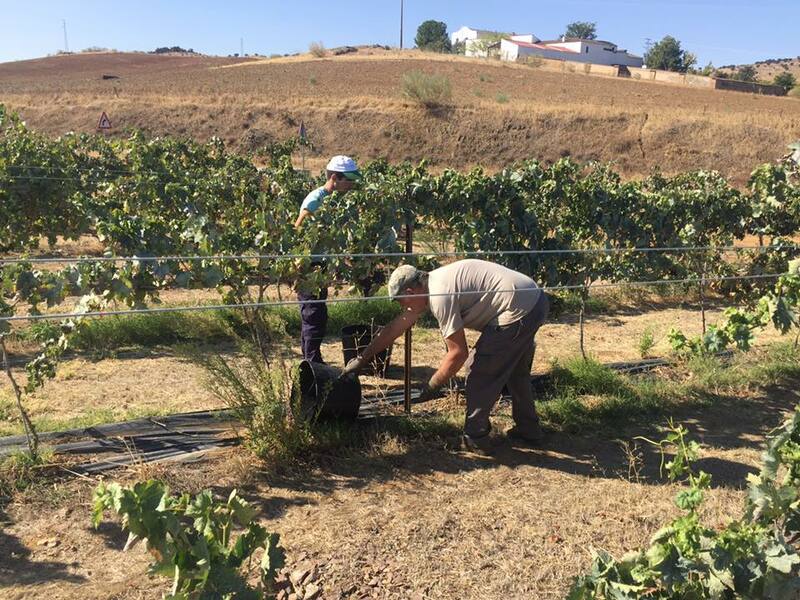 All work on the vines is done by hand, including pruning and manual harvest into small containers. The winery uses the 'ancestral method' to make their Petillant Naturel, the oldest known method for the creation of sparking wine. The complete fermentation is done naturally in the bottle with wild yeasts, with no sugar added, for 25-27 days. Finally, the wine is aged on the lees for a minimum of 12 months. The final sulfite levels are only 18-20 mg/L.